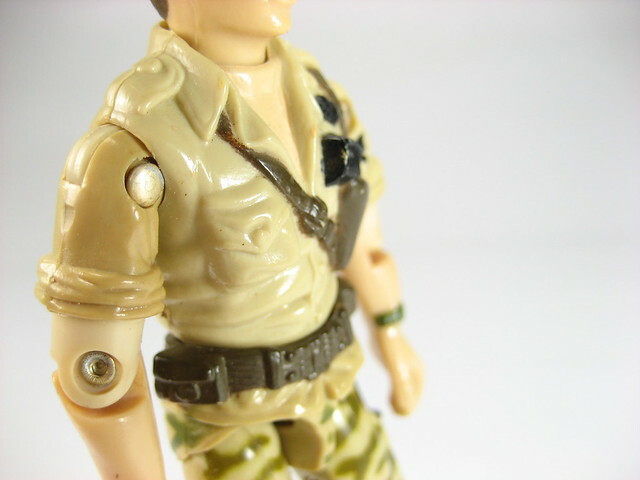 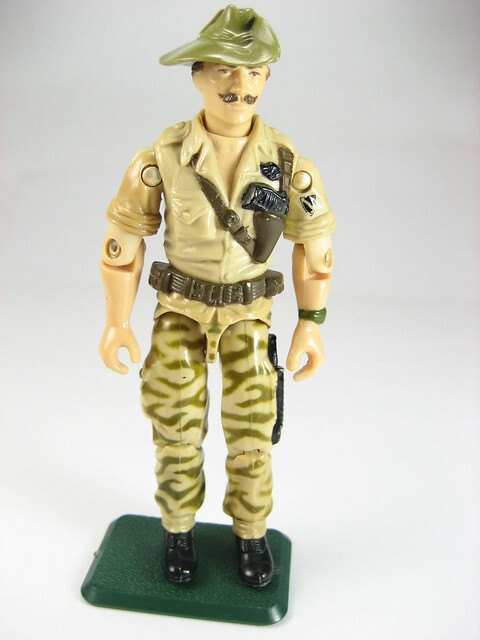 This was my brother's favorite GI Joe Figure from the Real American Hero series. 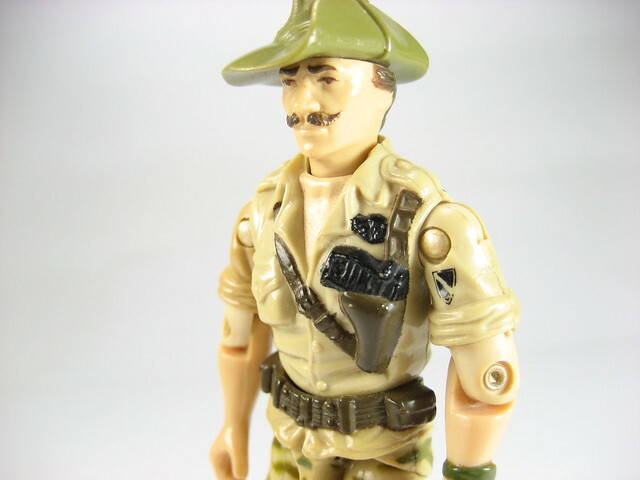 Code name Recondo with the designation of being a Jungle Trooper. 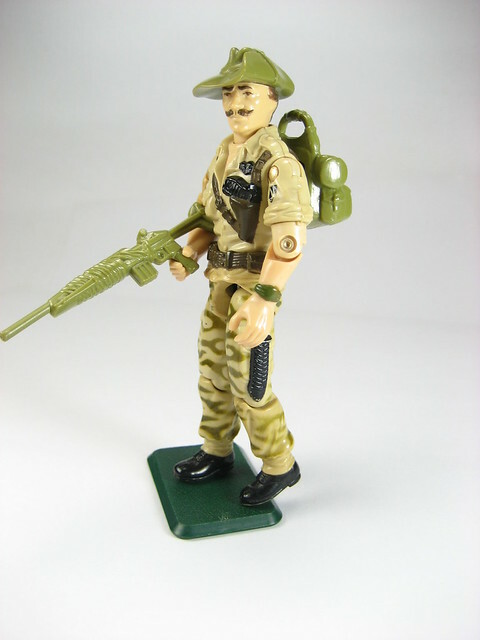 According to Wikipedia *cough* *cough*, Recondo stands for RECONnaissance and DOughboy. 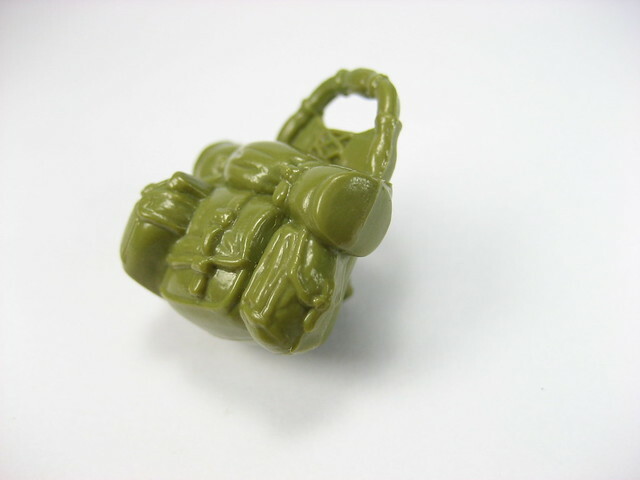 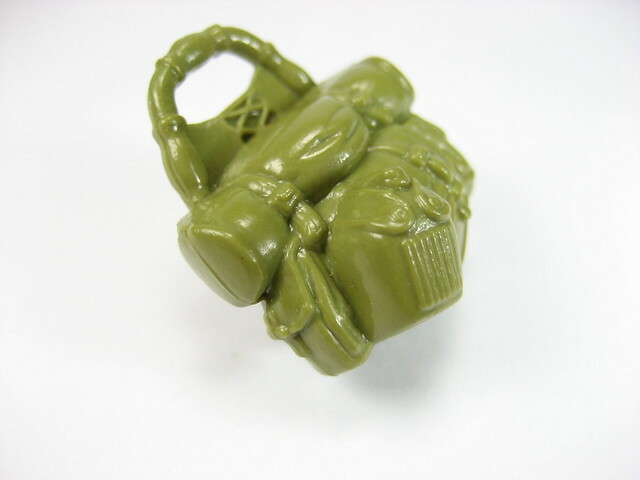 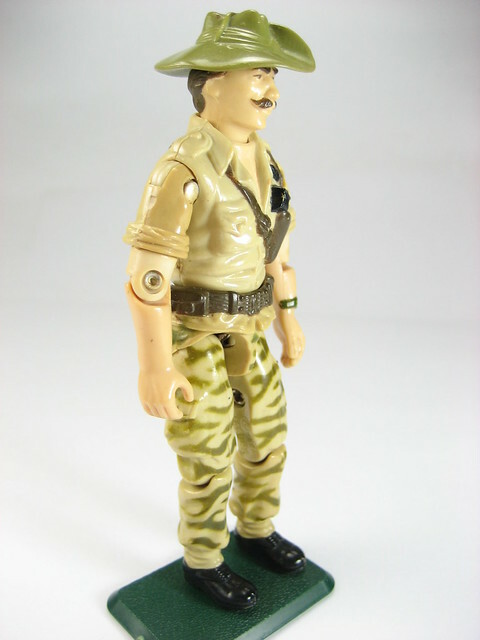 Sculptor Bill Merklein mentioned in this interview that he was the one who designed Recondo as well some other GI Joe figures. 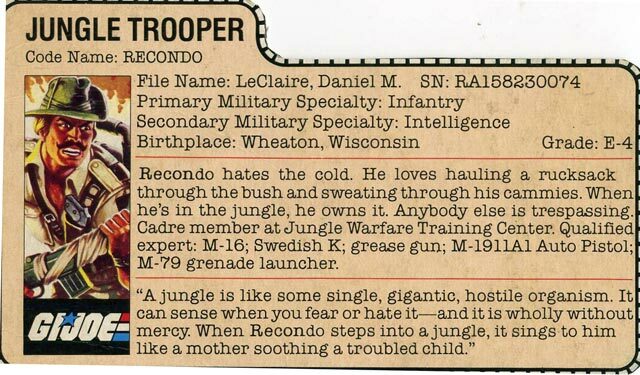 More information Recondo can be obtained from his FileCard below. 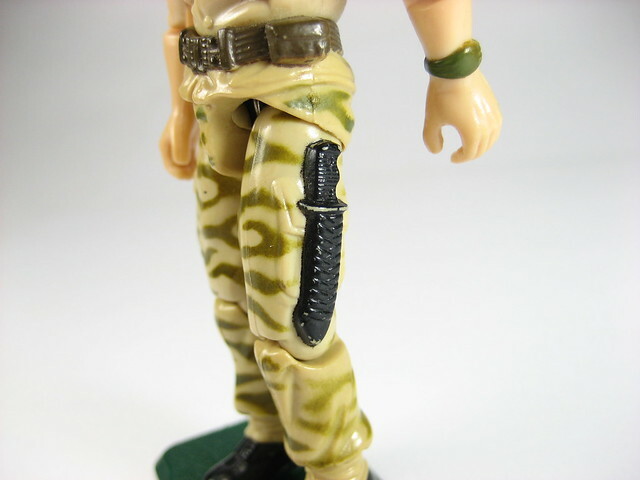 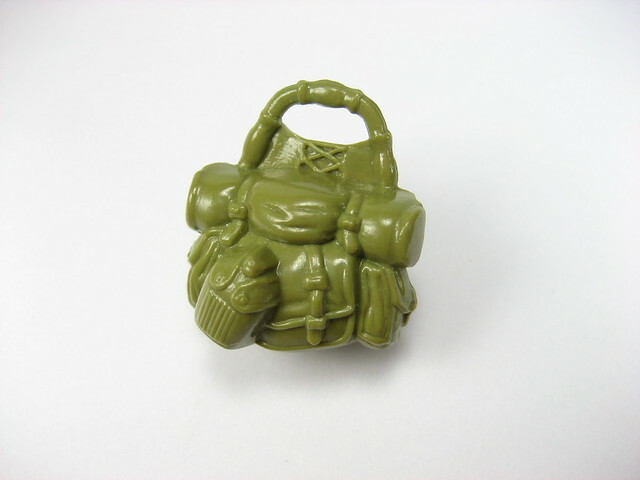 Luckily I was able to "save" my brother's GI Joe toys when he matured into adolescence and left his childhood ways behind. 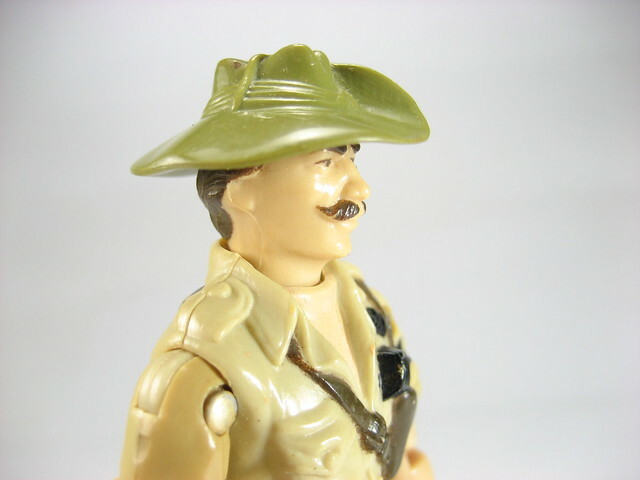 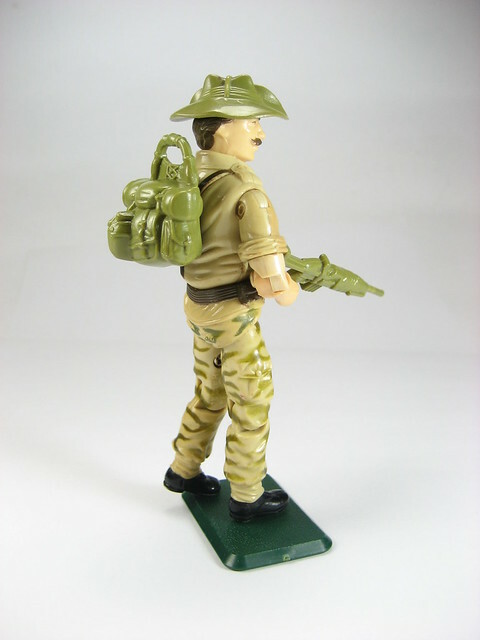 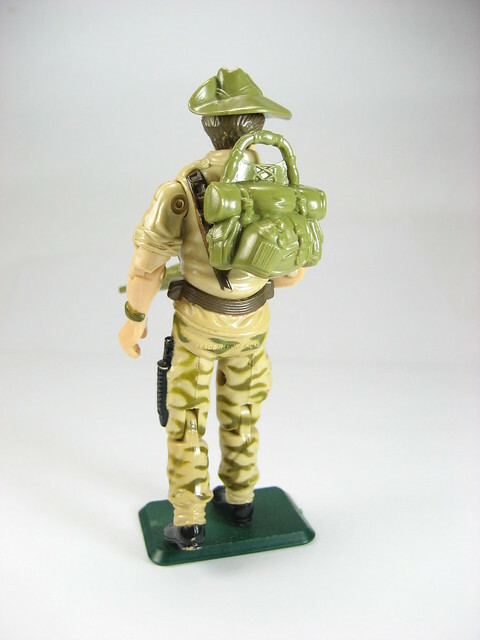 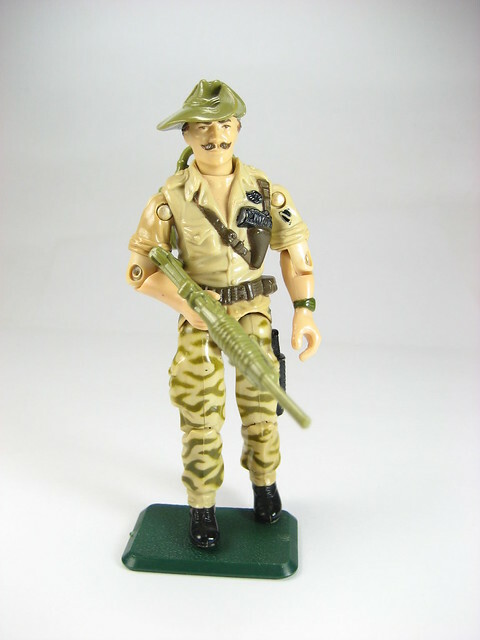 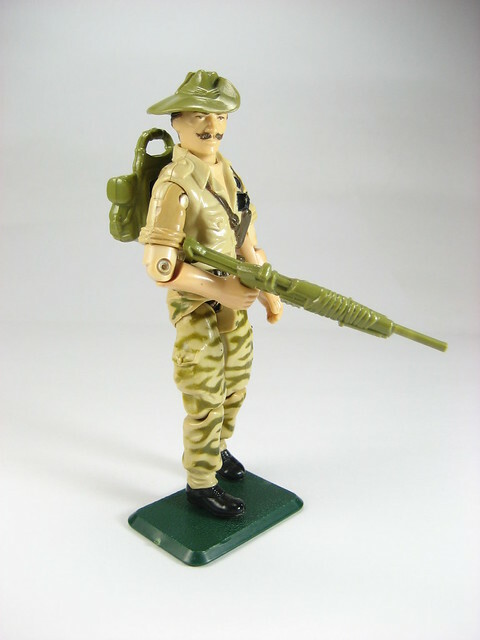 This Recondo figure came out in 1984 and like GI Joe figures made in that batch, lack the ability to tilt their heads that later models could do. 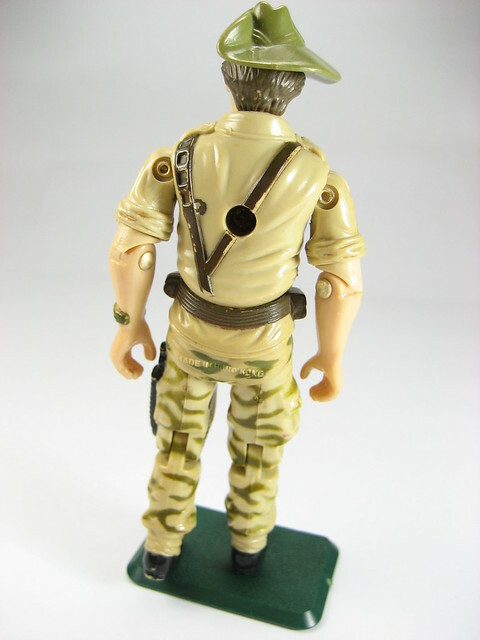 He could however turn his head from left to right. 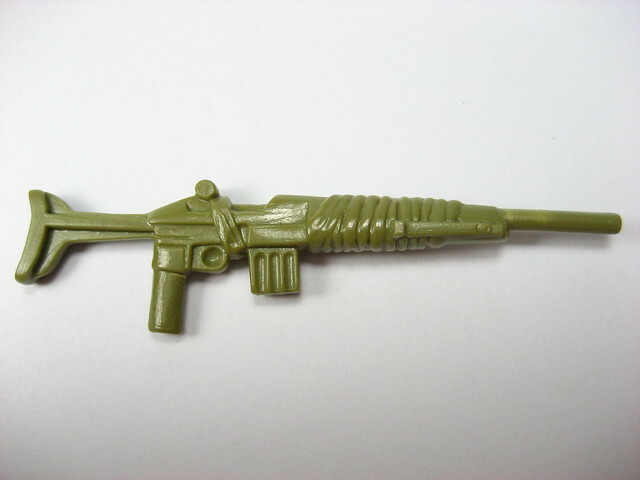 Not sure what this gun is, but it looks like a cut down M-14 with bipod attachment and wrapped in cloth. 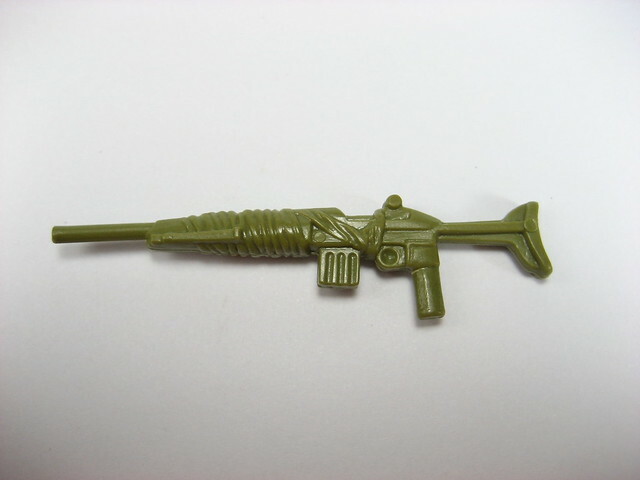 Not sure if the cloth is to protect the rifle from the elements or in order to make it more stealthy by not letting the metal parts glint off the sun or to prevent it from making noise when it brushes against objects.